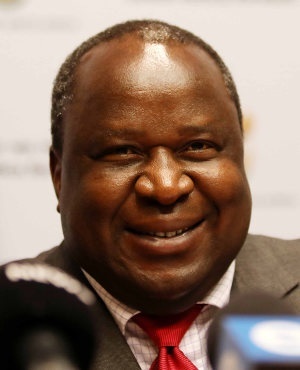 Finance minister Tito Mboweni’s first National Budget came with no real surprises or shocks. Given the pressure-cooker that is state finances, especially those of struggling power utility Eskom, it appears to be a well-balanced act. Government’s central economic policy goal remains to accelerate inclusive growth and create jobs, said the minister, while ensuring sustainable finances by containing the Budget deficit and stabilising public debt. In the light of the coming national election, Mboweni’s cautious approach in a high-risk environment comes as no surprise. The immediate and substantial risk that Eskom poses to the SA economy and state finances was partly addressed by allocating R69bn over three years – R23bn per annum – to the electricity provider as a support package with conditions. As part of a raft of conditions a “chief reorganisation officer” will be jointly appointed by Mboweni and Public Enterprises Minister Pravin Gordhan. The officer will work with Eskom’s board and management to carry out the recommendations of the Presidential Task Team. Treasury also included some details about how Eskom will be unbundled into three entities, saying each entity would in time have its own board and leadership, debts and assets. In his address Mboweni had harsh words for the strain Eskom is placing on public finances. “Pouring money directly into Eskom is like pouring water into a sieve,” he said. Mboweni said Treasury had been having “difficult” conversations with ratings agencies about what effect the Budget would have on SA’s sovereign debt rating. He said in his opinion the effect should be credit positive, given the practical interventions government is planning at the power utility. The Eskom support package was done without needing to up income or corporate taxes or VAT. Personal tax brackets were unchanged meaning more people may face a heavier tax burden as they move up brackets. There is a new carbon tax on fuel, and the usual – albeit moderate rise in fuel taxes and upping the sin taxes of tobacco and alcohol was announced. The tax revenue estimate for 2018/19 has been revised down by R15.4bn, relative to the mini Budget in October 2018, the third year in a row that tax targets are not reached. The revenue collection shortfall was caused, in part, by problems with tax administration at Sars, said Mboweni, in addition to broad economic weakness, and higher than expected VAT refunds. On the expenditure side, measures will be introduced to realise a R27bn reduction in the state salary bill over three years by incentivising early retirement in the public sector. But no big cuts in social spending emerged. The economic outlook has weakened since the 2018 mini budget, with GDP growth now projected to increase from 1.5% to 2.1% in 2021 compared to forecasts of 1.8% for 2019 and 2.1% for 2020 last February. Consumer inflation is expected to average 5.2% in 2019, up from 4.7% in 2018. The budget deficit is projected to narrow from an estimated 4.2% of GDP in 2018/19 and to 4 % of GDP in 2021/22. Gross debt is projected to stabilise at 60.2% of GDP in 2023/24, with net debt stabilising at 57.3% of GDP a year later. Last year the budget deficit projection for 2020/21 was 3.5% and debt supposed to stabilise at 53.2% in 2023/24. Real growth in non-interest expenditure averages 2% per year over the next three years. The fastest-growing area of spending is community development, which includes funding for free basic services and human settlements. Over the next three years, more than half of government spending will be allocated to basic education, community development, health and social protection. Net debt is expected to reach R2.52 trillion in 2018/19, or 49.9% of GDP, increasing to R3.47 trillion or 55.5% of GDP by 2021/22. Debt service costs rise to R247bn or 4% of GDP by 2021/22. Mboweni injected a different ideological flavour in a pre-Budget briefing to journalists, by repeatedly stating that the world is in a “post-Soviet era” where massive state-owned enterprises were not the order of the day anymore.